Akane is part of the Inuwaka clan, a family of Shinobi that aid the the Thousand Year Protector. She is a bit overprotective of her little sister, bit enjoys new experiences and is very optimistic. She thinks that she has the final word on what is "cool" or not. She's always worried about Nazuna (her younger sister), but she doesn't let it show and always appears calm and composed. She is actually a hard-worker, but doesn't let others see her effort, for that would be "uncool". 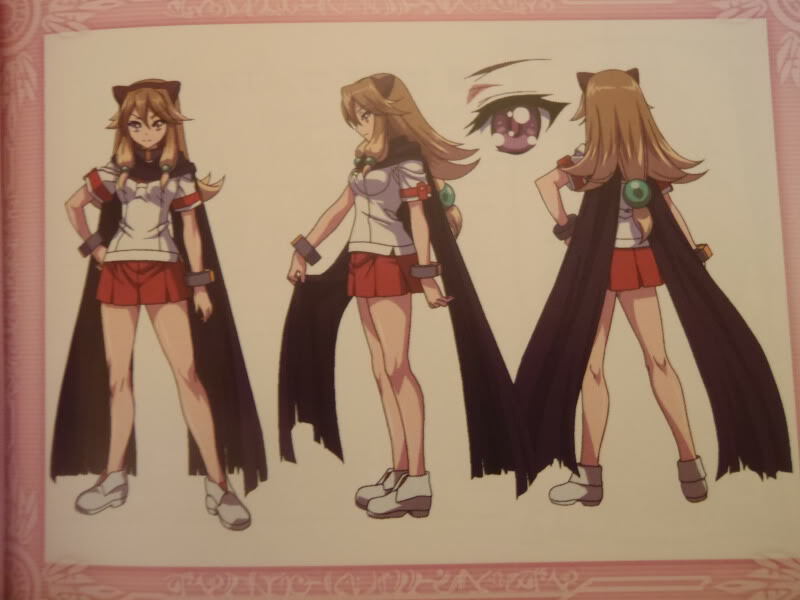 Along with her work, she is a battle genius, she can instinctively gauge her opponents abilities and form a strategy to fight them instantly. Her Arcana is Phoenix (Sound), who was charmed by her singing voice and now lends its power to her. Surprisingly, as soon as I used her the first time in AH2: Suggoi, Akane became one of my favorite characters of the series... her look is pretty typical of the series, but it's her fighting style that I fancy. 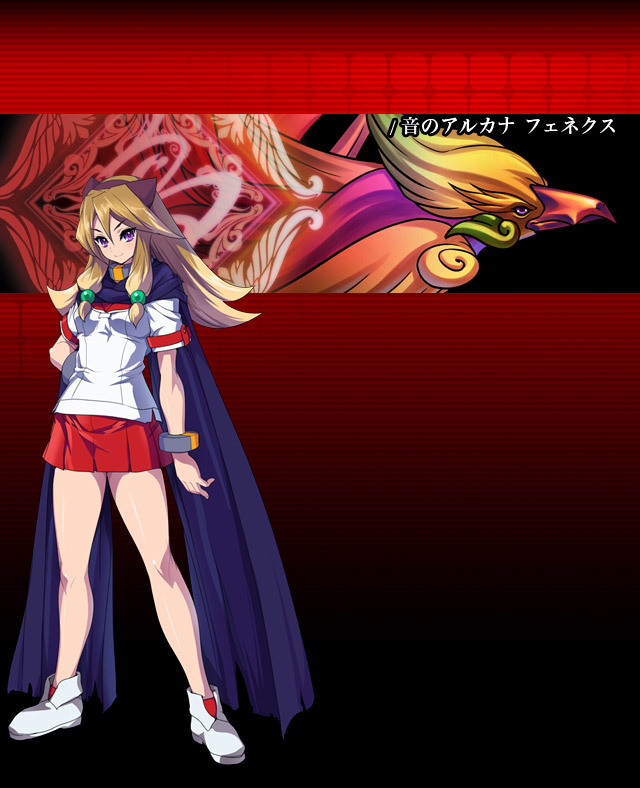 She's got some neat animations, and cool moves & combos. 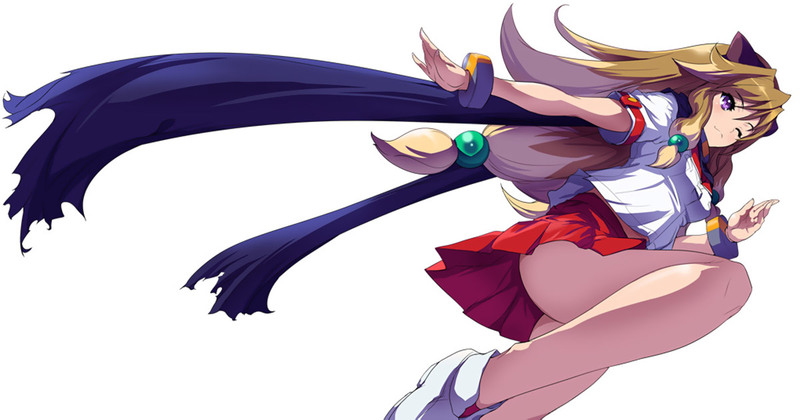 In general, she stands out pretty well as a "fighter" in Arcana Heart, compared to others who are more gimmicky and silly. And if you give her a chance, she's a pretty fun character to use.